In a bit of a departure from our usual “Hollywood! Adapt This” suggestions of cartoons, video games and blow ’em ups, today we’ll be talking about the life and works of noted 20th century poet and playwright, T.S. Eliot. 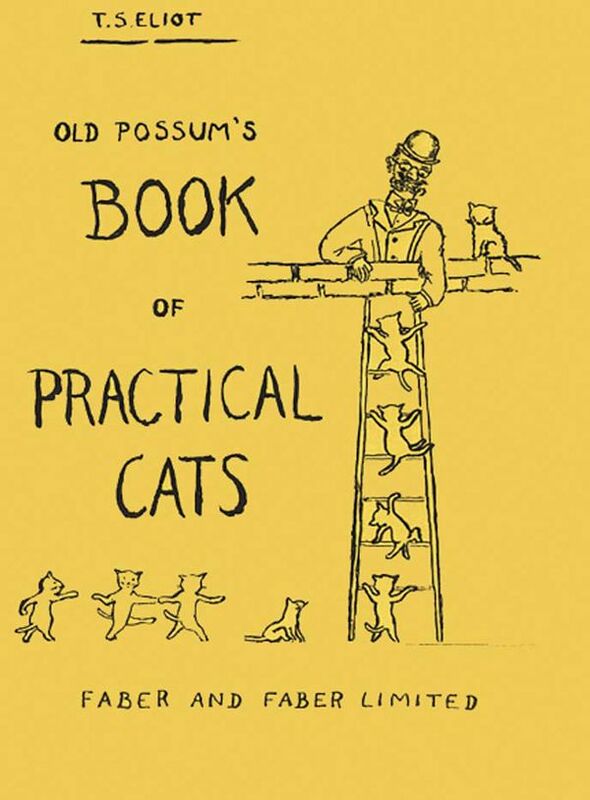 While Eliot’s works have inspired numerous other productions (perhaps most notably the Broadway musical Cats, which was based off of his collection of light verse, “Old Possum’s Book of Practical Cats”), there has yet to be a suitable biographical adaptation of his life and of the works themselves. Hit the jump to learn more about one of the 20th century’s greatest literary contributors. Hollywood! 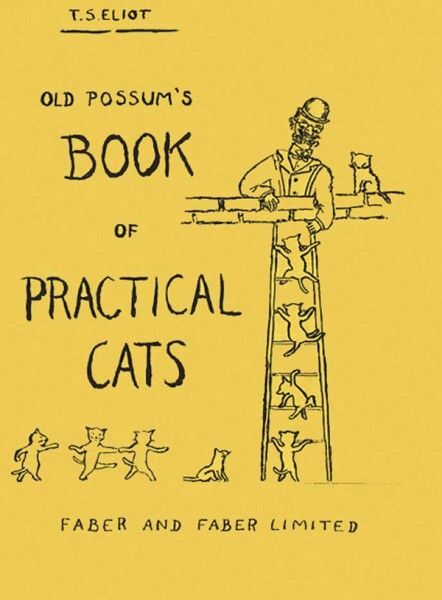 Adapt this: the life and works of T.S. Eliot. Born into a middle-class family in St. Louis, Missouri, Thomas Stearns Eliot formed a deep love of literature at an early age. Prevented from engaging in physical activities such as sports or play due to a medical condition, Eliot retreated into any book he could get his hands on. That love of literature served him well throughout his life as he studied at Harvard, Oxford, the Sorbonne and Oxford’s Merton College. Extremely well-versed in classical languages and famous international works of literature, Eliot included references to said texts in most of his own works. 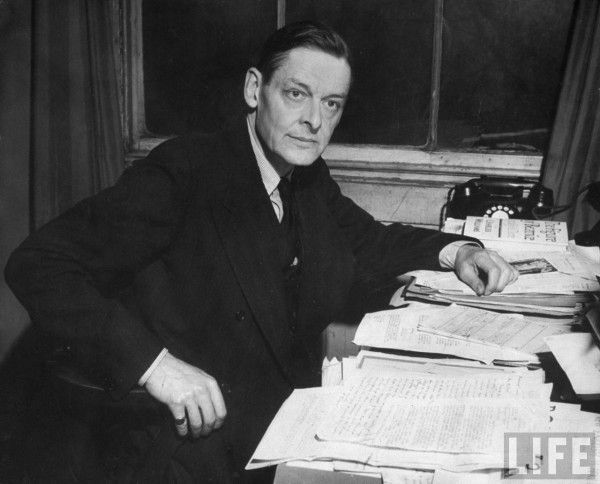 This erudite style of writing coupled with the use of stream of consciousness and multiple points of view made Eliot’s works incredibly complex and became both a study and a commentary on classical literature in and of themselves. As one of the most prominent members of the Modernist movement, in an answer to the preceding Victorian era of literature, Eliot sought to pay homage to classics by Dante Alighieri, Shakespeare, Baudelaire, Ovid and Homer; but Eliot also inserted references to more contemporary works, such as the English cultural legend of Guy Fawkes, works by Charles Dickens and even popular song lyrics of his time. Eliot’s works were more a production of quality over quantity, with a handful of examples held up as his most iconic achievements. It’s also interesting to track his writing style over time, as an American who became a British citizen later in life and converted to the Anglicanism under the Church of England. Eliot’s works ranged from bleak, desperate, disillusioned and detached poems in the early years of his career, to more religious allegories later in his life. 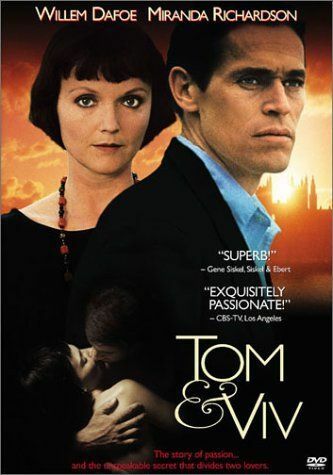 His marriage to Vivienne Eliot (which the 1984 play, Tom & Viv, was based on, as well as the 1994 film by the same name starring Willem Dafoe and Miranda Richardson) was historically unpleasant and loveless. Eliot sought to marry her in order to become ever more tied to the English way of life he had become obsessed with. Vivienne, afflicted with numerous medical conditions as well as mental instability (she was referred to as “a bag of ferrets that Tom wears around his neck” by Virginia Woolf), was regarded as the source of the inspiration and sense of unrest in Eliot’s most famous works. Her sister-in-law Theresa Eliot was quoted as saying, “Vivienne ruined Tom as a man, but she made him as a poet.” But it is Eliot himself that this article is concerned with. How Could / Why Should His Life and Works Be Adapted? While Eliot’s life story deserves to be told on the big screen for no reason other than his incredible contributions to the world of literature, his tumultuous personal life and ever-evolving writing style would make a fascinating examination and an engrossing bit of entertainment. His early works, “The Love Song of J. Alfred Prufrock,” “The Waste Land” and “The Hollow Men” are absolutely ripe for an imaginative interpretation. His later works, “Ash Wednesday” and “The Four Quartets” (which led to his Nobel Prize in Literature) also provide interesting looks at how Eliot’s writing style changed since the separation from his wife, her being committed to a mental hospital and his own transition into Anglicanism. And Eliot didn’t exactly write in a vacuum. The names of his literary contemporaries are every bit as recognizable as his own, maybe more so: the aforementioned Woolf, Ezra Pound, Bertrand Russell and James Joyce. The mere mention of those names would make for one hell of a supporting cast, similar to the current production of Kill Your Darlings, which focuses on the writers of the Beat generation. To quote a great line from Tom & Viv, it’s as if each of these characters has “touched history” in their time spent with each other and Eliot. In the hands of a visionary director and animation team, Eliot’s works could transcend the written word and become more than just a straight biopic. There is plenty of room here for both the mundane and the surreal. Not only do I want to see T.S. Eliot’s life and works realized on the big screen, I believe his legacy deserves the adaptation. It’s been almost 20 years since Tom & Viv and that picture was more about Vivienne and her contributions, with Eliot merely caught up in the current. I would love to see someone like Alfonso Cuaron tackle the material, though Ang Lee and Terrence Malick would also be on my shortlist. 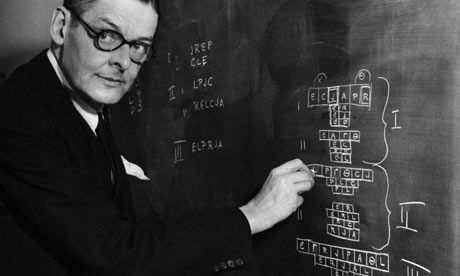 If nothing else, a refreshing reminder of Eliot’s works is overdue; a feature adaptation could provide a whole new introduction to the poet for the uninitiated. Be sure to get caught up on all of our previous installments of Hollywood! Adapt This here. Feel free to leave your comments and suggestions for future articles below. Next week, in honor of Peter Jackson’s The Hobbit: An Unexpected Journey debuting on screens, we’ll be looking at a massive fantasy novel franchise that has somehow managed to stay under the radar and avoid a live-action feature adaptation for almost 30 years. So sharpen those lances, make fast your saddles and join us next time!